Not for the first time, ‘Swift Nicks’ Nevison recently found himself unable to get to his fine horse Nutmeg, what with the constables and watchmen of the hue and cry closing in on him. Luckily, he found an equally fine horse to steal and made off as best he could. Unluckily, the horse was unsaddled when he took her, so after burdening her long enough to escape his pursuers, he thought it best to dismount and lead her. He knew exactly where he could steal a saddle. Before he got there a strangely armed man attempted to interfere with his progress, but Nevison saw him off in the usual, tried and tested, manner! This is a still from the filming I did a little over a week ago, near Hey Green, near Marsden. I’ve been back since with the two boys as it was such a marvellous place I wanted them to see it too. 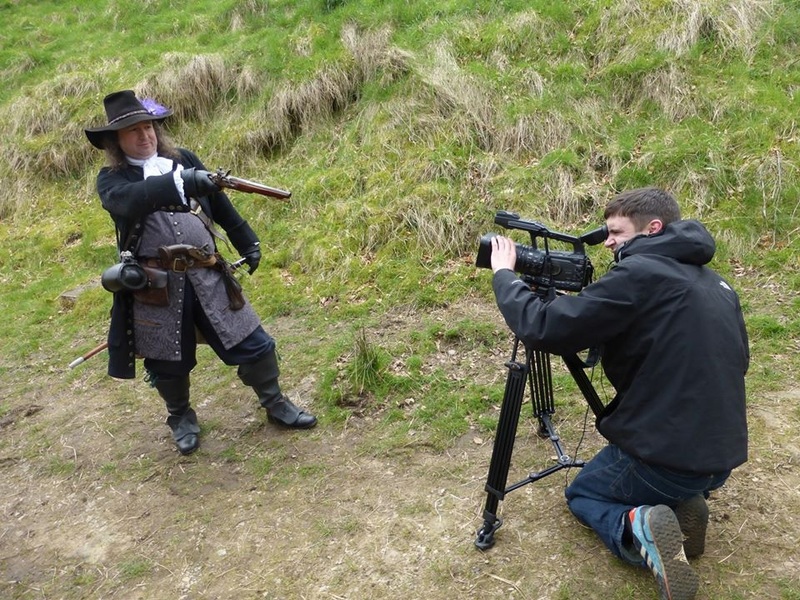 The filming was for the Milestones Society, a charity running a project called Finding the Way. To find out more please see their Facebook page at https://www.facebook.com/groups/FindingtheWay.org.uk/. 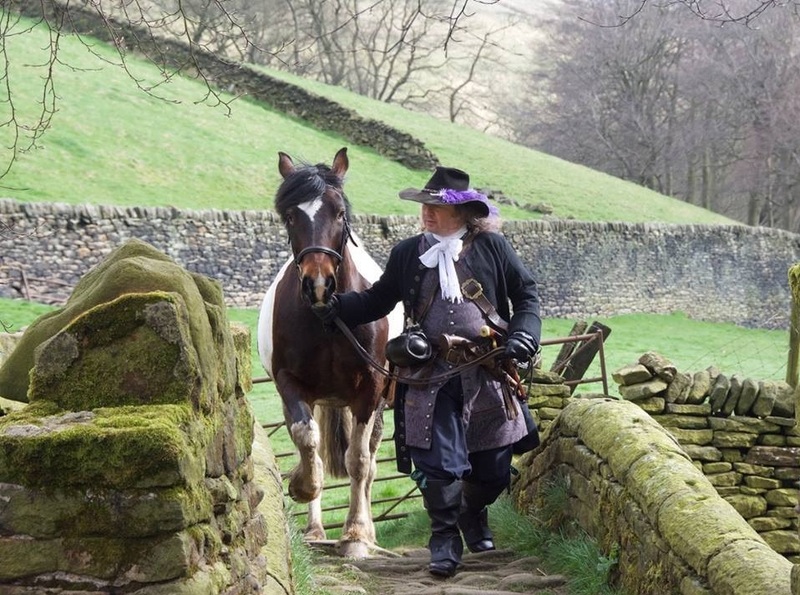 Meanwhile, if you want to know more about my Nevison the highwayman character (who will be hiding in a school on Accrington tomorrow) then please click on – Swift Nicks Nevison.